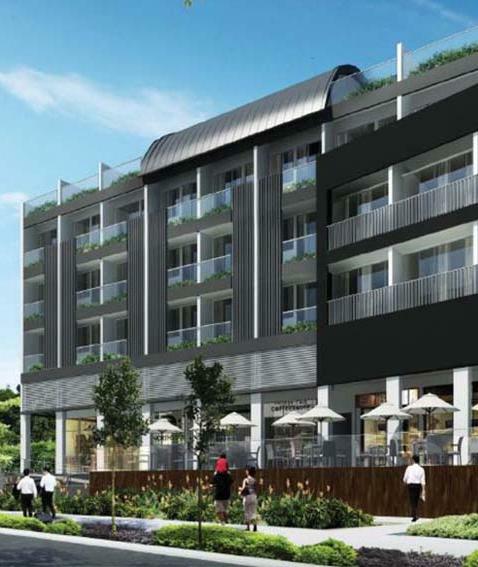 Suites @ Katong is a freehold condominium located in the bustling and lively Tanjong Katong area. 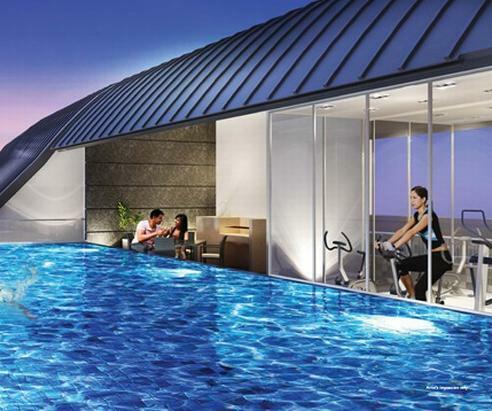 It is situated at 263 Tanjong Katong road, Singapore 437050, in district 15. 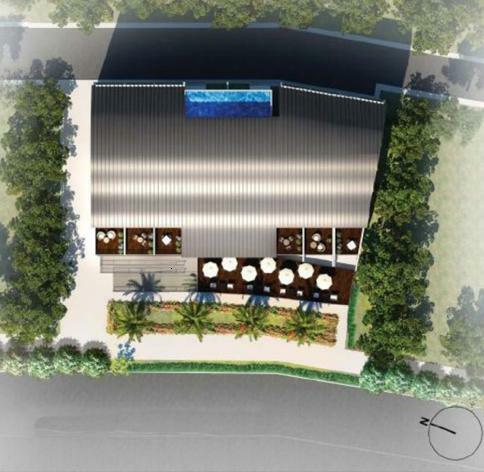 It is expected to be completed in 2013 by Oxley wealth Pte. Ltd. 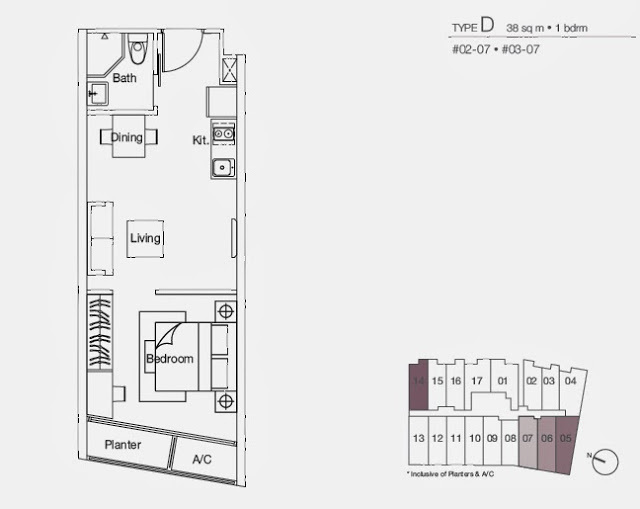 It is 4 storeys tall with a total of 58 units and 8 shops. Step in and discover this unique wonderland of lushness and tranquility, the cutting edge designed units are your private sanctuary where you can unwind and enjoy the unblocked picturesque skyline with unprecedented privacy. The apartments are spacious and accompanied with ample nature lighting and well ventilated to create a warmth homely natural environment. This resort styled development is definitely a tropical heaven on earth where you can escape from pressure of daily life. You would relish in luxurious warmth every time you return to this dream home. 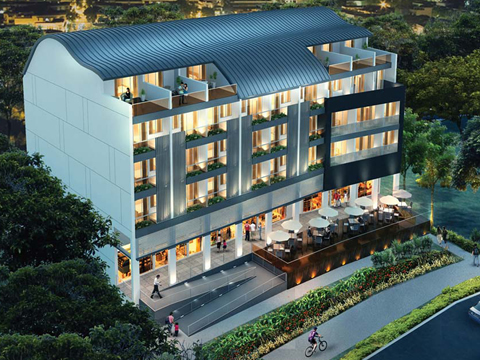 Nothing spells elegance like Suites @ Katong. Experience a new level of indulgences here with unparalleled qualities and comfort that greet you everywhere you turn within this lavish premises. There is a fabulous holistic selection of facilities for you to recharge, rejuvenate and refresh you mind, body and soul. Here you can ease away the tiredness accumulated, immerse you mind and body in complete relaxation and seek inner serenity right in the comfort of home grounds. You can have a leisure swim in the pool, suntan at the pool deck, relax at the Jacuzzi, and have a BBQ session with family. There is also a covered car park and 24 hours security available here. The myriad of in house facilities exclusively created for residents will pamper you to the max. 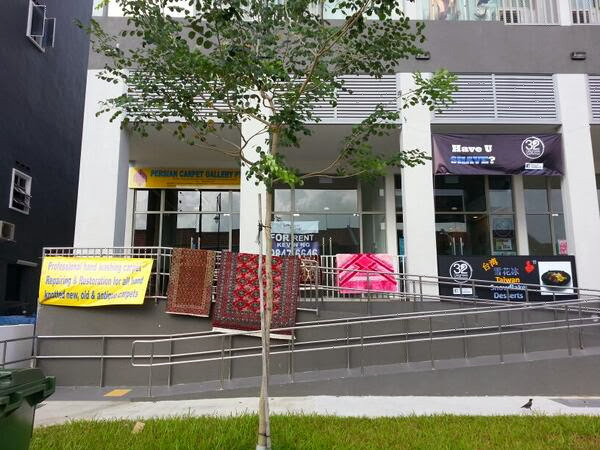 Suites @ Katong is close to Dakota Mrt station. Driving to orchard shopping district and CBD area will take you less than 15 minutes via PIE. Heading to Marine Parade and East Coast Park over the weekend will take you about 5 minutes drive. Driving to Changi Airport will take you about 20 minutes drive.It is located right in the heart of the city center and is seamlessly and conveniently connected to every part of Singapore making it so hassle free for you to travel to work or play. There are few prestigious education institutions in the neighborhood such as Tanjong Katong Girls School, Chung Cheng High School and Tanjong Katong Secondary School. For medical care, residents can head down to the nearby General Practitioner Clinics, Geylang and Bedok Polyclinics, Raffles Hospital, Parkway East Hospital and Changi Hospital. Staying in Katong , residents are blessed with a huge variety of local and international cuisines lining up katong road and over at east coast. There are several malls nearby which have a wide range of amenities like supermarkets , cafes, restaurants , retail shops and other recreational facilities. These include Parkway Parade, Katong Shopping Center , Roxy Square, Paramount shopping Center Odeon Katong Shopping Center and complex . East Coast Park is also a short drive away. The nearest supermarkets are Cold Storage at Katong Mall, NTUC Fairprice Supermarket at Joo Chiat Complex, Giant Supermarket at Parkway Parade and Sheng Siong Supermarket at 57 Tanjong Katong Road. There are many recreational facilities include East Coast Park, Singapore Turf Club, Geylang Serai Community Centre, Kampong Ubi Community Centre, Singapore Adventurers' Club, Telok Kurau Park and Mountbatten Community Club. Suites @ Katong is a prestigious home of timeless appeal for the privileged few where you can luxuriate in the lyrical moments of life. It is a highly sought oasis with architectural bliss within the picturesque beauty of lush natural environment. Take a retreat in the sensory abode with all your favorite indulgences in close proximity. Living here in this urban sanctuary reflects the ultimate dream that make any other possession secondary. It is definitely a true work, play and live nature retreat after a long day at work.